Virtual tabletop technology is a great resource for gamers looking to adopt a more efficient platform for gaming than the traditional roundtable. Many user-friendly applications, such as Roll20 have emerged as great resources for gamers. Here are some tips from taking your favorite games from your kitchen table to cyberspace. A virtual tabletop moves the medium for gaming from the kitchen to cyberspace. The technology combines a variety of game-enhancing features and allows gamers to play their favorite games through a virtual interface. Run on a browser or an application, there is a wide range of virtual tabletops available that sport distinctive features. Through a virtual tabletop, you will do all the planning for your digital campaign and gather with other players to play your favorite games. Virtual tabletops come with a variety of features. The range of tabletops is large; it is important to consider what tabletop will best suit your skills as well as the specific games you want to play. Some of the many features to look for in a virtual tabletop are tactical mapping, graphic overlays, and role-playing capabilities. Additionally, it is important to consider the tech proficiency of your group as well as the computing power of your computer. Different virtual tabletops require more computer work and skills. Some virtual tabletops only allow you to play your games through text; however, playing through text can be slow and limit the creative elements of your gameplay. If you want a virtual tabletop that will allow you to do unique voices and provide more creative freedom, you should consider choosing a tabletop with an audio component. 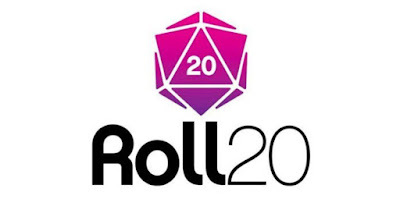 User-friendly applications, such as the Roll20 app are great options for those looking for an audio component. Having an audio component will create a more immersive gaming environment and promote role-playing capabilities. One of the greatest aspects of virtual tabletops is that they allow you to store digital copies of needed materials. Role-playing games often have many books and lots of rules. Traditionally people that play role-playing games have stored and carried physical books for reference. With digital tabletops, gamers can use digital copies of books and rules sets and make their gaming process more efficient. Virtual tabletops allow gamers to spend less time looking up rules from a book and more time playing their favorite games. Like most other industries, the traditional gaming model has been disrupted by technology. Gaming has always been a popular pastime where people come together to laugh, commune, and create camaraderie. The gaming community is rooted in intimacy and connection. Technological advancements in gaming have allowed gamers to expand their network and community to play with people all over the world. The gaming table has moved from a physical medium to a cyberspace interface full of distinct features and capabilities. Today, gamers can choose from a wide range of virtual tabletops that have a variety of features that enhance the gaming experience.